Although entitled “The Basics”, this 67 minute video gives you more information – not just the “whats” but the “whys” behind them – than you can get pretty much anywhere else. 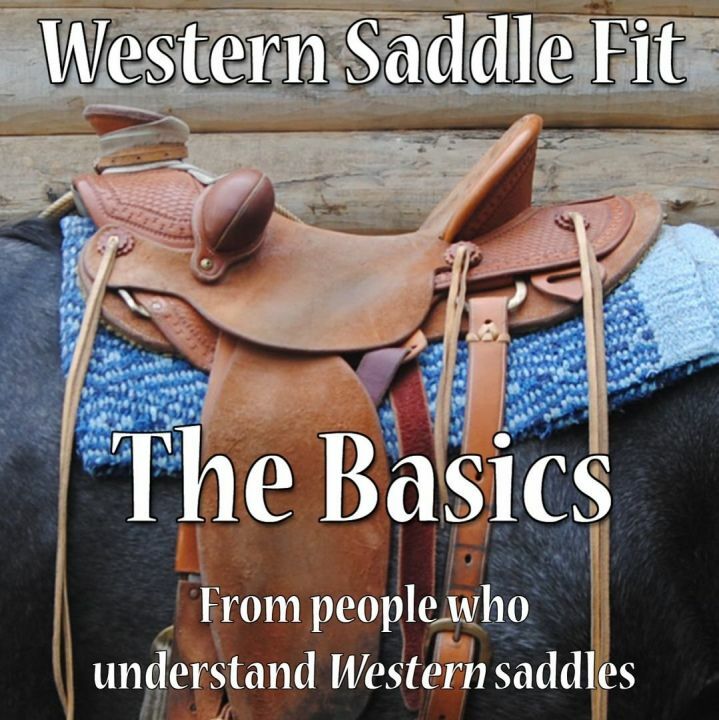 You will learn not only the Basic Principles that make a Western saddle fit a horse, but also how different factors about the tree, the saddle, the rider and the padding all affect how a saddle fits and functions. It also teaches you how to check out a saddle on a horse to know if it will work or not. And if not, you will understand why not, so you know what needs to be different in a saddle that fits. Plus more! Check out the table of contents below and our review page so see what our customers say about the DVD! To order in CAD, please click here. If you have problems with your order, please contact us. We want to know! Note: Shipping does not include tracking or insurance. If you wish to have these options, please contact us for a quote. If you want to order 3 or more videos, please go to our Wholesale page and we can give you a quote. Shipping lettermail to the US can take up to 3 weeks and internationally may take even longer. Thank you for your patience. If you wish to have your videos more quickly, please contact us for a quote. Be warned – you will want to stop it at times to check out the added pictures and text more closely, and you’ll probably want to watch it more than once. There’s a lot of material in this short video! These DVDs are in NTSC format and may not play in all non-North American DVD players but should play in all computers.